In many schools, the community,—particularly parents—feels left in the dark. Within their own walls, schools often work diligently to communicate the latest initiatives, results, and grading practices, or they discuss things such as the Common Core State Standards. However, the community is often unaware of such important topics until they hit a friend’s Facebook wall, an online gossip forum, or become part of the conversation at the local soccer field. If the community is not aware of or has inaccurate information regarding the latest initiatives and practices, then a sense of distrust and disconnect can easily occur. The foundation to building dynamic, life-changing relationships with families and the community is trust. Gaining the trust of those we serve takes time, yet once established, it can also be shattered in a moment. As school leaders know, it only takes one phone call, one breach of privacy, or a few poorly chosen words to ruin what took years to build—making our communication and collaboration with the community all the more imperative. Building trust with the community does not happen by chance. School leaders must be intentional, authentic, and genuine while building trust. 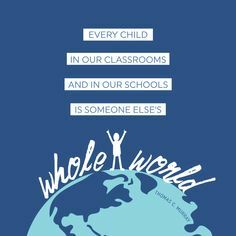 This also holds true with teacher-student relationships in the classroom. As such, school leaders must prioritize trust building and, in turn, model the desired classroom community to their staff. School leaders who build trust engage in the following activities. 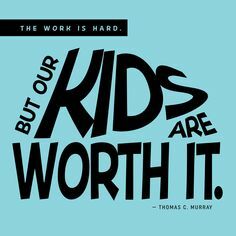 They make child-centered decisions daily. With ongoing negativity about schools highlighted on virtually every news outlet, many families are skeptical of schooling before their first child even walks into a school for the first time. Families must feel that school leaders have their children’s best interests at heart and that decisions are made with them in mind, as opposed to what’s easiest for adults or a particular interest group. They are present and display competence. Foundational to school leadership is the understanding that we must be present to lead change. This notion doesn’t simply refer to our location but mirrors a true reflection of our regular investment in authentic conversations and collaboration. Also, not much ruins trust faster than a perception that the leader is inept and unqualified to guide the way. This is abundantly evident during each national election cycle when thousands of advertisements and millions of dollars in advertisements are devoted to making candidates seem incompetent and unfit to lead. They invest in people. School leaders who invest the time and energy and continuously display a commitment to building capacity and leadership in the people around them—from parents to teachers and from coaches to support staff members—will take steps in building long-lasting, trusting relationships with their community. They create transparency. When the community feels left in the dark or that decisions are being made without their input or understanding, distrust builds quickly. School leaders can create transparency by being honest in all things, communicating clearly, and articulating needs while rejoicing in successes. Schools that create transparency seemingly have glass walls where the community understands what’s inside and collaborate on what’s to come. They are reliable and follow through. Actions can build trust or shatter long-standing relationships. Reliable school leaders are accountable for their actions and responsive to the needs of their community. These leaders don’t say one thing and do another, nor do they promise something and then not follow through. Reliable leaders are predictable, and there is safety and security in knowing that their words have meaning. They walk the talk. School leaders who build trust also walk the talk. They are role models for the community they serve, and they lead by example—modeling the desired behaviors and characteristics they want to see from their students. Being human, these leaders will occasionally make mistakes, but they also own their missteps and work diligently to make things right. They lead with integrity. School leaders who lead with integrity are guided by a moral compass and do the right things for the right reasons, even when no one seems to be watching. These leaders are honest in their relationships with people, and they lead a fair system in which people are treated equitably and with love and respect. They are trustworthy, live the life that they preach, show compassion and empathy for those around them, and lead with servant hearts. Schools that are transforming learning work diligently to build trusting relationships and utilize an empathy lens with respect to the things they ask families to do. Remaining relevant by staying up-to-date and mirroring innovative practices seen outside of school go a long way in building a trust where parents believe their children are in good hands. Much of the post above was originally shared in Chapter 7 of Learning Transformed: 8 Keys to Designing Tomorrow’s Schools, Today, published by ASCD in 2017.